These are just so whimsical and fun! 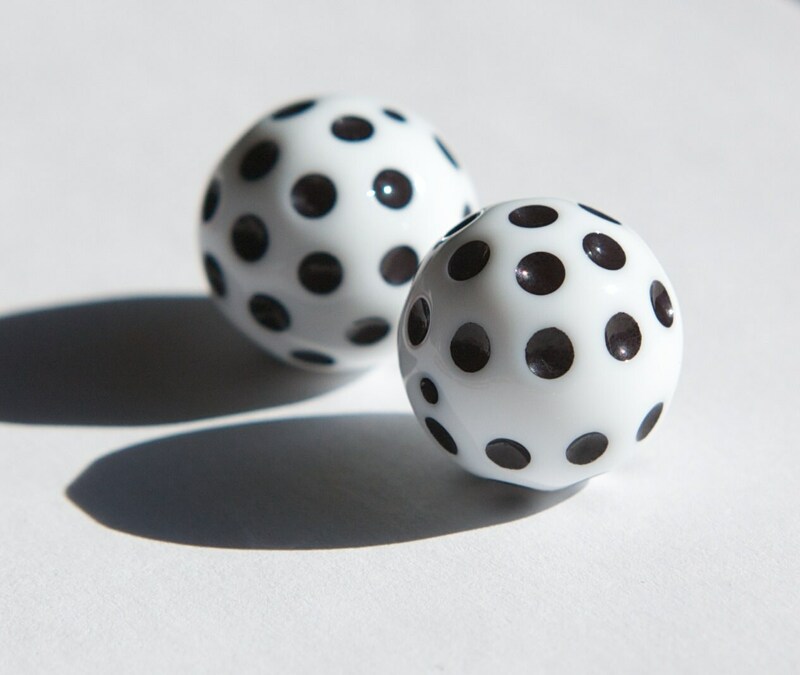 They are a vintage white lucite bead with black polka dots. They measure 18mm. You will receive 2 pieces. 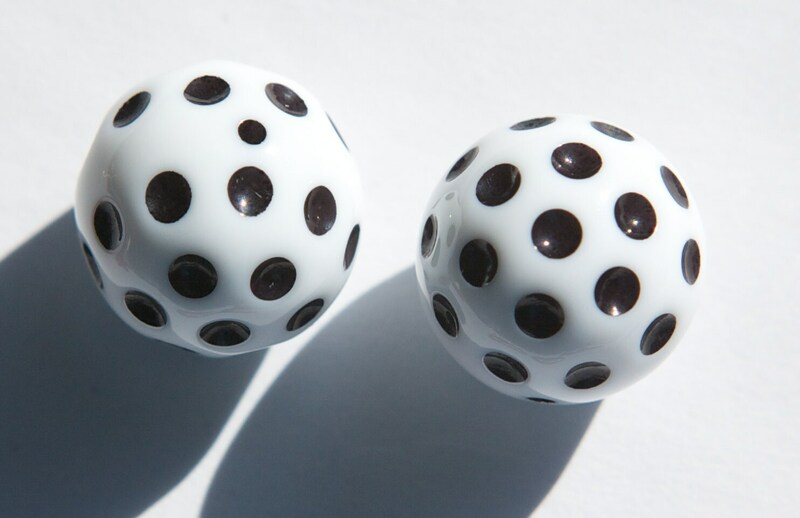 The smaller dot you see on the bead on the beading hole.